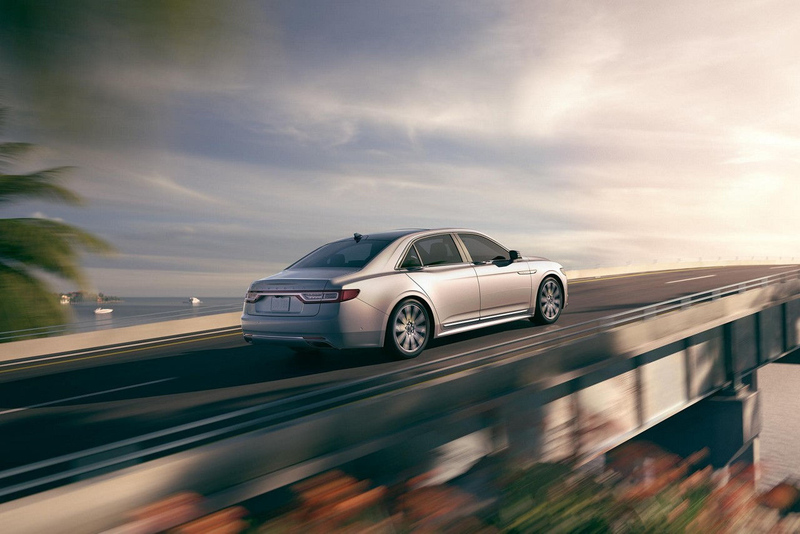 Calm, cool and classic, the 2019 Lincoln Continental defines luxury for a new generation. Calling to mind the iconic elegance of years past with a thoroughly modern upgrade, this sedan combines style with sophisticated engineering to bring you a driving experience that's sure to thrill. Stop by Miller Lincoln today to fully explore the Lincoln Continental and discover everything you've ever wanted in a dream car. Conveniently located in Lumberton, we're the best place for local customers to shop America's favorite luxury brand. Yes, the 2019 Lincoln Continental is beautiful, but it certainly doesn't sacrifice function for form. Offering a host of standard and available safety, performance and technology features, it was designed with both a nod to the past and an eye on the future. From Adaptive Cruise Control to Auto Hold and Adaptive Suspension this car makes driving easy. Want power? The 2019 Lincoln Continental delivers. Despite the impressive boost, it also handles like a dream, and thanks to Lincoln's innovative engineering it's also refreshingly reliable. Upgrade to the available 3.0L twin turbo V6 for even better performance. Outfitted with gadgets and systems to make your driving experience safer, more convenient and more entertaining, the 2019 Lincoln Continental is the ultimate tech lover's ride. You and your passengers will feel confident and comfortable on the road. See how the 2019 Lincoln Continental measures up against the competition.